För oss handlar det om att göra bilvård till något enkelt och kul. 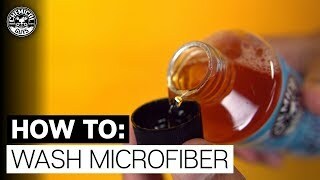 Därför har vi skapat dessa instruktionsfilmer som på ett enkelt sätt förklarar hur du använder vissa produkter och vilken effekt de ger. Det kan vara allt ifrån hur man tvättar sin bil till hur man handpolerar den. Skulle du vilja se något speciellt? Tveka inte att kontakta oss så kanske nästa videoguide handlar om något du tycker är extra intressant! 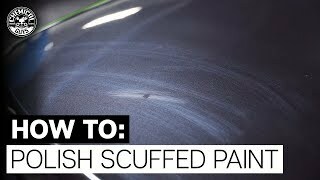 How To Use A One-Step Polish To Remove Scuffs, Swirls, & Scratches! Every car is under the constant threat of paint scuffs. A trip to the grocery store, commute to work, or Sunday afternoon cruise can end with a fender bender, shopping cart attack, or careless door fling. Paint transfer and scuffs may look terrible, but they can be easily fixed with a machine polisher and steady hand. 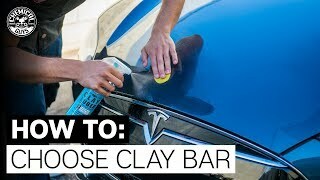 How Do You Know WHICH Clay Bar To Use? Chemical Guys manufactures every type of clay bar decontamination system to make any car feel smooth as glass! Detailers and enthusiasts use the traditional clay bar to remove above-surface contamination from paint and exterior car surfaces. Pro Tips: Why Waxing Your Car Is A MUST! 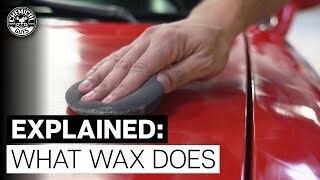 Nick demonstrates why waxing a car is one of the most important steps when detailing a car. 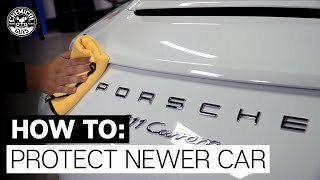 The Best Protection For Newer Cars! Wrap your car in shine and protection. Sometimes, protecting your investment is as simple as a quick coat of sealant. JetSeal will add the best level of shine and protection to any surface. 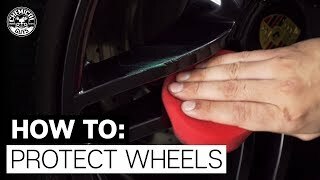 How To Protect Your Painted, Chrome, Alloy, & OEM Wheels! The slick Wheel Guard Max Coat makes it harder for dirt, brake dust, and road grime to stick to wheels and rims. How To Properly Wash Microfiber Towels, Mitts and Applicators! How To Clean Dirty Off-Road Truck Undercarriage: Raptor! When you're exploring off the beaten path in search of destinations or creatures never seen by man your vehicle is bound to get filthy with dirt, grime and other contaminants. 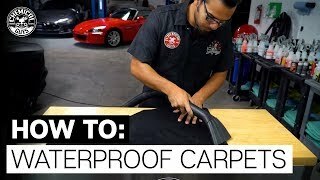 How To Protect Carpet and Fabric Components! Shield fabric components against stains, spots, and water with Chemical Guys Fabric Guard. You've just bought a brand new car, but how do you keep it looking showroom fresh? What’s Better, A Foam Cannon or Foam Gun? Whether you choose to use a foam gun or foam cannon to spray thick car wash foam, the result will be slick lubrication against car wash swirls and scratches on your beautiful paintwork. 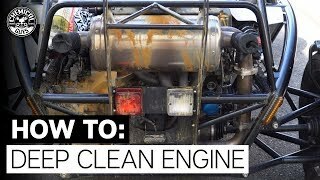 How to Clean Your Engine: Blown Head Gasket! Don't neglect your car for too long because the longer you wait, the more difficult it becomes to restore it back to its factory finish. Follow these easy steps to bring your car's paint back to life. 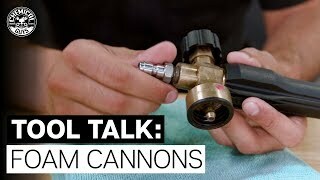 How To Take Care Of Your Foam Cannon: Prevent Clogging & Buildup! 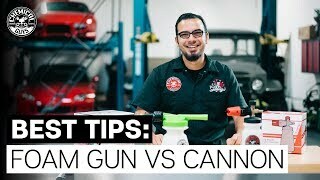 In today's video, Nick goes over a few tips on how to maintain your foam cannon as well as prevent clogging, buildup and lack of performance.